What About Redistribution Of Grades? Thursday morning, a professor at Saddleback College was caught on camera tearing down posters with images memorializing the lives lost to terrorism on 9/11. 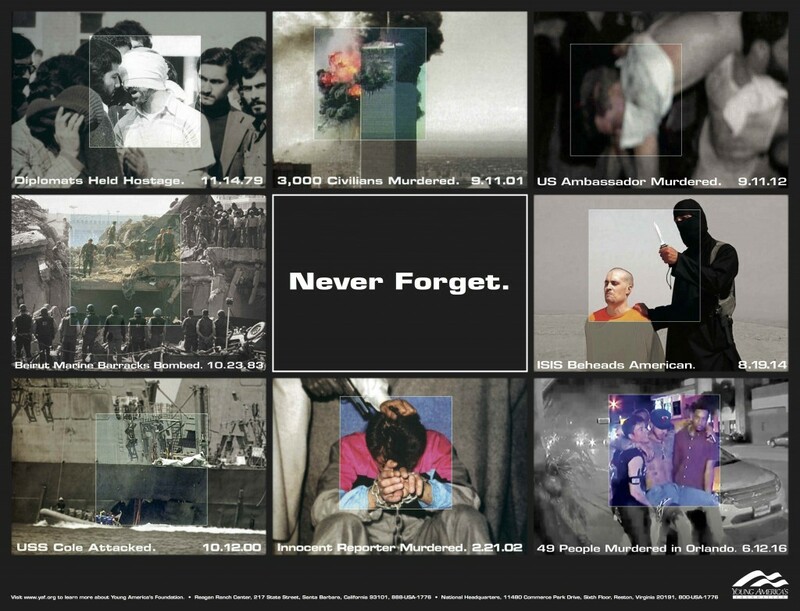 The posters, which can be seen below, were displayed across campus by the school’s Young Americans for Freedom (YAF) chapter as part of Young America’s Foundation’s 9/11: Never Forget Project. Students identified the professor as Margot Lovett, who currently serves as chair of Saddleback’s history department, according to the school’s website. Lovett’s actions are particularly notable, given the fact that she made news back in 2001 for endorsing an anti-American statement released by the Black Radical Congress (BRC) as the “most cogent analysis” of the 9/11 attacks. The statement starts with offers of condolences to the families and loved ones of all those who lost their lives, wishes for a speedy recovery for all those injured, and a strong condemnation of the attacks. But then the BRC blames U.S. imperialism for “genocidal levels of death and destruction” around the world, using as examples the ongoing blockade and air bombardments of Iraq, the government’s “virtually uncritical” support of Israel’s oppression of Palestinians, and the economic blockade against Cuba. Professors like Lovett are the exact reason Young America’s Foundation created the 9/11: Never Forget Project. As we reported yesterday, Saddleback, which is a public school, attempted to block the YAF chapter’s 9/11 memorial earlier this week. Despite these bureaucratic obstacles, the chapter woke up early Thursday morning to make sure their campus remembered the victims of the 9/11 attacks, placing one flag in the ground for each person killed. 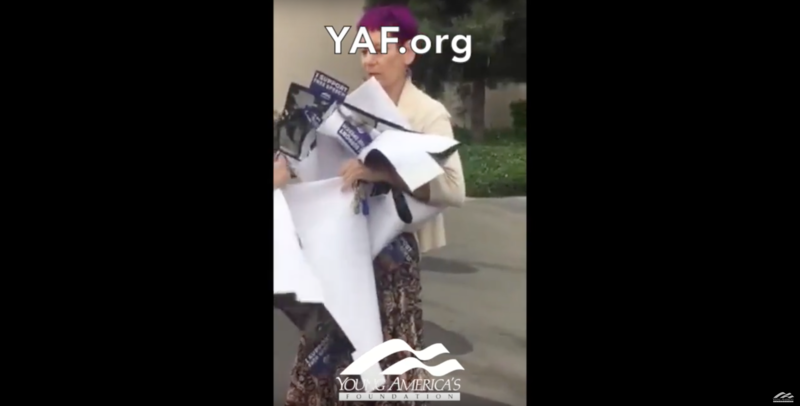 As the YAF chapter was assembling its memorial, Lovett began tearing the posters off a nearby building, destroying them beyond repair. Saddleback College is a public school. Under no circumstances should it be this difficult for students to exercise their First Amendment rights to memorialize the victims of the 9/11 attacks. This is a perfect example of the way schools, and radical leftist professors like Lovett, leverage their bureaucracies to limit students’ right to free speech.